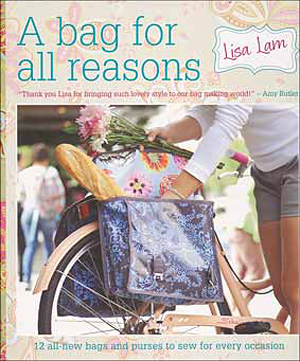 I'm here today with a very enthusiastic review of A Bag for All Reasons, a new book by Lisa Lam (bag designer and sewist extraordinaire). The publisher generously sent me a copy to review for all of you fab people, so here we go! 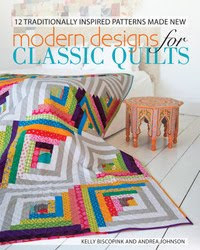 Let me start by saying this: As a former editor of craft/sew/quilt books, there are definitely features that I love to see in new books. To be clear, not every book that hits the shelves needs all of these features, but sometimes there's a book that really does need the super-special treatment, and this is one of those books. Spiral-o, lay-flat binding: Here's the deal. Spiral binding is fab, but it's really not always necessary. If a book features a lot of projects that have larger, longer steps (like in quilting, one step might take a week! ), it's not so crucial to refer to your book constantly while working. But with bag making, there are a lot of steps that each may only take a few minutes. Who wants to keep flipping the book open and closed? No one. Cuz it'd be super annoying. Full-sized, single-sided, bound-in pattern sheets: A few great things here. Number 1: No enlarging your pattern pieces - they're already at the size you need them. Number 2: If you want to, you can cut the patterns out directly from the sheet because there's nothing printed on the other side of the paper to destroy. Number 3: Because they're bound into the book, the patterns are less likely to get lost, pulled out, or destroyed in between the printer and your house. Just make sure that once you use them, you find a way to keep them with the book. Step-by-Step photography: A picture's worth a thousand words, and when it comes to "how-to" books, it might be worth more. Lisa's written instructions are really clear, but a good double-check with the photo is great to avoid unnecessary re-dos. Love it. Professional finishing: Lisa's addition of hardware (like snaps and clips), zippers (and other closures), pockets and contrasting fabrics give these bags a really polished, professional look. When it comes to wearables, we want them to look handmade-chic, not handmade-messy. And these bags really do look chic. I made the Compact Groceries Tote to take with me to the Saturday Farmer's Market to carry home my loot. I'm going to post a little more about my new bag in a few days, so keep an eye out for that, but here's a sneak peak of the fabric I used. Thanks for the review! I like book properties like that as well. But what counts is the content. Knowing what Lisa writes on her blog. I know the book is great on that merit alone! I love her patterns. And of course, we females are always in search of the perfect bag! We're On Annie's Quilting Stash!